Ayn Rand drives me nuts! Her philosophy of greed and selfishness is antithetical to everything I do and believe. But imagine my shock when I discovered a few weeks ago that the feeling is mutual. In the midst of one of my Ayn Rand rants, Kristen told me that Ayn Rand specifically mentioned Twin Oaks as a failed philosophy in an article. Really!? However, the Gulch had several unwritten customs which arose as a reaction to the things that the residents sought to rest from. No one ever remained in the Gulch at another person’s expense, nor asked nor granted any unremunerated favors. Every resident was expected to pay his rent, or else pay room and board to the leaseholder of any house in which he stayed. Similarly, no one ever “borrowed” something belonging to another; instead one rented it and was expected to negotiate a rent with the owner…[as] an example of “resting” from the constant stress of living in a society in which one’s fellow citizens constantly demanded certain things of one and expressed no willingness to pay for those things. Other than these details, Ayn Rand doesn’t bother to describe how greedy, self-interested capitalists would actually structure their little utopia. This may be why Ayn Rand goes out of her way to pick on Twin Oaks–because the founders of Twin Oaks were inspired by the behaviorist, B.F. Skinner. Behaviorism, as described by B.F. Skinner, was a philosophy of how to control human behavior. Since Ayn Rand believed any constraint on individual behavior was immoral, she deplored behaviorism. B.F. Skinner wished to illuminate how his behaviorist principles could be implemented so he, too, wrote a novel ,Walden Two, describing a group of people living in a communal utopia. In B.F. Skinner’s case the communards are living according to behaviorist principles. In 1967 Kat Kinkade and a handful of other people were inspired enough by Walden Two to set out and actually set up a behaviorist utopia. This group bought land and began bringing Dr. Skinner’s ideals to fruition. That is what set Ayn Rand off; she was seething that a theoretician who she fundamentally opposed had real people setting up real experiments to prove his theory. For all of Ayn Rand’s ire, Twin Oaks was never able to implement Skinner’s theories. The details of how to actually control human behavior weren’t covered in Walden Two. In fact, it turns out that human behavior is far too complex to set up contingencies of reinforcement for every possible behavior. Psychology students touring Twin Oaks inevitably come away disappointed at the abandonment of Behaviorism. These days if you google “Galt’s Gulch, ” a housing development in Argentina comes up. Why are there no attempts among Ayn Rand’s acolytes to create a utopia of greed? 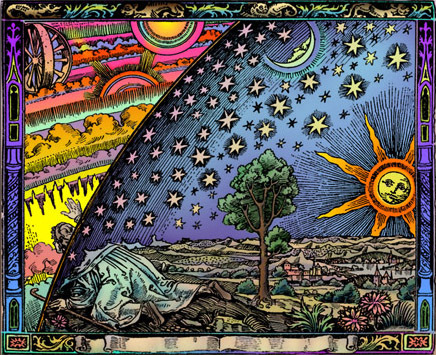 Here’s why: her fundamental theories of human nature are fiction and will always and only exist in the realm of fiction. There can be no real world experiment because real people choosing how to live together will never choose “selfishness” as the core concept around which to coalesce. Ayn Rand’s name has been in the news of late because of the recent meltdown of the economy. Many of the captains of industry are followers of the theories of Ayn Rand. In her writings, Ayn Rand goes on and on about “looters,” bureaucrats who take the wealth of hard-working people without having earned it. What has been revealed in the most recent economic crash in disturbing detail is that successful capitalists can be the worst looters, taking the accumulated wealth of hard-working homeowners and then tossing them out of their houses and then re-selling the empty houses. Alan Greenspan, ex Fed chairman and an uncritical disciple of Ayn Rand, finally admitted that maybe Ayn Rand’s theories (that had been guiding his approach to the global economy) were incorrect. Thanks, Al. Rosabeth Moss Kanter writes “IBM, P&G, PepsiCo, and many other companies are aligning enduring value with social good.” Wait a minute! I know her! 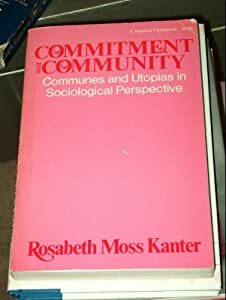 Rosabeth Moss Kanter wrote a book back in the seventies about communes, Commitment and Community, where she devoted a whole chapter to Twin Oaks and why it is doomed to fail because Twin Oaks doesn’t have the right culture to get people to commit and stay. (Ironic that Twin Oaks’ turnover has slowed to a trickle.) Now she is a professor of business at Harvard. This is getting spooky! Why do all these political/social theorists go out of their way to pick on Twin Oaks? It’s a pink book . Anyway, there is hope for the world if even hard-core capitalists have abandoned Ayn Rand’s theories. Her theories can’t stand up to the bright light of empirical analysis. And yet the application of those theories has been the impetus for much global destruction of capital and general misery. Twin Oaks, despite Ayn Rand’s prediction is thriving; Ayn Rand was wrong about Twin Oaks. Ayn Rand also was wrong about human nature. Attempting to sculpt a world, little or big, based on greed and selfishness will only ever result in failure and human misery. 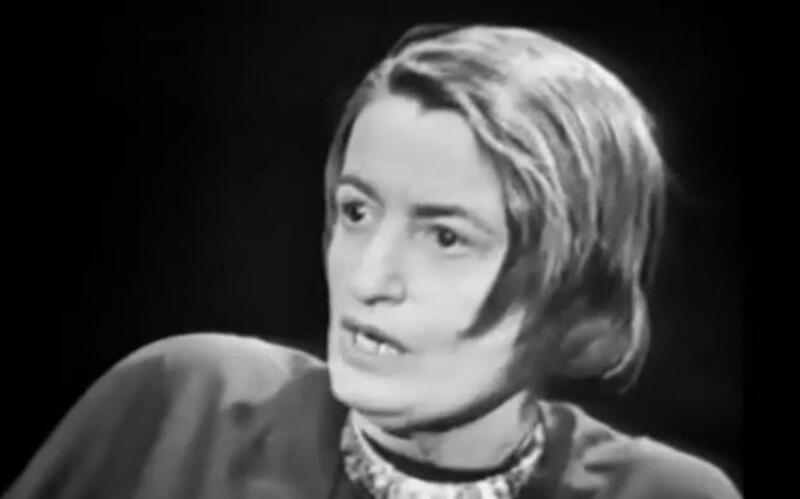 Let us hope that Ayn Rand’s theories will soon be tossed into the compost bin of history. Connor tells it like it is so hard his fingers blur! Ascension Day! The meeting at which AC*DC officially began… after two plus years of work. Point A DC folks and Joseph from Sandhill and some group house friends relaxing at a game night. One of Point A DC’s first event, “Let’s Do It Better Together”, featured a bunch of parallel conversations, this one on income sharing. Point A DC has its first event of the summer talking about why communes are important and what stands in the way of people joining them with members of AC*DC, Twin Oaks, Acorn, Cambia, and the Chocolate Factory and curious potential communards to be. There are very few disciplines in psychology that could claim much success. The obvious one would be advertising and other forms of brainwashing. The next one, surprisingly, is a marriage therapy. In an awkwardly mathematical and computerized manner, a psychologist and a mathematician at the University of Washington have studied newlyweds for many decades and essentially “cracked the code” on what predicts divorce. Their “formula” can predict with 95% accuracy whether newlyweds would stay together or break up in a span of the following seven years. The following article is mostly a repetition of their main findings loosely translated to communal living situation. a. This is an important but tricky one to translate: uncommitted relationships gradually drift apart once the honeymoon phase is gone. b. While people are community members, provide and expect full commitment. This is commitment to their well-being, to being respected and understood, to participating fully. Avoid thinking: “We don’t need to deal with her issues. She’s probably going to leave soon anyway.” Even if not for her sake, other people will hear this attitude and will reduce their commitment to each other. a. Contempt: Displays of disdain, hatred, ridicule, disrespect, or eye-rolling are found to be the most destructive expressions in relationships. b. Defensiveness: The unwillingness to accept critique, to be curious about the other person’s perspective, and instead aggressively deflecting blame or reacting with counter-blame. c. Stonewalling: Ignoring, or otherwise checking out in a conversation. d. Criticism: Criticizing people’s personalities, traits, preferences, looks or anything else that they can’t really change. Focusing on critique of actions or consequences is probably more accurate and effective. 3. The 5 to 1 ratio of positivity to negativity: Every negative expression needs at least 5 positive expressions to balance it out. Otherwise, people enter an emotional debt and recession. Here are some ways of expressing positivity. These are to be applied to any members of the community and, the less you know them, the better to do these. e. Be accepting: Accept peoples quirks, preferences, idiosyncrasies, or even bad habits. It’s okay to despise video games but love it that some people get to bond around them. Even when you have an endless list of everything that’s wrong with the meat or tobacco industries, don’t transfer that judgement to the individuals who are consuming them. You can say: “I think its absolutely wrong to keep consuming them, but I don’t love you any less for doing that.” This does not mean that you have to accept people’s mean behavior. That’s different. 4. Recognize irreconcilable differences and stop trying to fix them. Learn to live with them instead. That’s right. Some differences are irreconcilable. People will not and should not change some beliefs, habits, attitudes, etc. It’s important to realize when things cannot or should not change, and stop wasting energy and generating hostility around them. For example, one member can be very forgetful, and actually forget that they are forgetful. After 3 times of forgetting to close up the chicken coop at night, you might want to ask them: “What’s wrong with you??? Why are you so inconsiderate?” Alternately, you accept that they’re forgetful and leave a special loving note with a special drawing just for them. Or something cute rather than passive aggressive. acknowledge person B’s pain, express feeling bad about it to person C if they can’t do it to person A, and have person C reflecting feeling compassion to A’s predicament. Even if the whole thing was A’s fault to begin with, it’s important to try to remain curious and open, even in conflict. Ask something like, “I see you’re upset at what I did, could you say more about what upset you?” You get much more “street cred” for a compassionate apology than for proving you were right. make a flag, make up songs about your community. But as in item 6, its best to abandon this generalizing language when the content is negative. 7. Have fun with everyone, no matter what you do: research on millions of cases of divorce demonstrates quite clearly that it is not the economic necessity of staying together that protects against divorce. Rather, it is the abundance of quality fun shared time that predicts success. In other words, the efficiency of living together cannot compensate for the lack of love-building quality time together. Budget for fun, both with time, labor, and money. Every minute you spend on building trust and love, saves you 10 minutes of conflict resolution later. The Baltimore Free Farm put out a call for help from nearby communities to help cook for the protests and marches against the murder of Freddie Gray. Acornistas, Twin Oakers, the Wingnut Collective, affiliates of New Community Project, The Keep, and several other collectives responded by sending several cars and vans crammed to the gills with people, food, equipment, donations, and prepared food from those who couldn’t go. As we entered the city of Baltimore, we were greeted by the foreboding sight of the M&T bank stadium serving as a stand in military base, with army jeeps, military personnel, helicopters, and jail buses filling it. We also passed several burnt out businesses, such as this CVS, only heightening our state of apprehension. Once we landed at BFF, we immediately begun hauling in our goods and set to work cooking. We cooked hotel pan after hotel pan of vegan food to bring to the marches that afternoon. With our food lined up and ready to serve, throngs of hungry demonstrators came to refuel. We got word that there were at least a hundred cars stopped in the road about a quarter mile away. Soon thereafter, the streets started to pour with protesters in a march. Lots of solders with automatic weapons. As we marched through baltimore, people congregated at their stoops or out their windows, some looking, some cheering on. Cars honking, drivers raising fists, eliciting renewed cheers and pumped fists to the air from marchers. A Boltbus drove by honking wildly, followed by a dump truck drive, similarly showing solidarity. Above military personnel can be seen in their omnipresence behind Twin Oaker Edmund. So many people responded to the request to help cook bring so much food that all the ovens on site plus the wood fired pizza oven have been in use almost nonstop. We even set up additional counter space and some propane cookers, as seen above. Today we have already served meals four times, with one more serving for curfew breakers later on tonight. A photographer scaled the metro station for a better shot, triggering a flood of people who also wanted a better view. Above, people have gathered once again the raise their voices in chants, at the corner of North and Pennsylvania, the site of former racial profiling and police brutality. Below are a few signs that caught my attention. In early April, Debbie and Nika attended a gathering at the Possibility Alliance in northeast Missouri. The gathering brought together about 80 activists and community organizers dedicated to fighting climate change by creating a network of Centers for Liberation: communities and sustainable living centers working for a just, equitable transition away from fossil fuels and towards community resiliency. Represented at the gathering were nine existing centers (including LEF). A few of them are established groups already living without fossil fuels, including the Possibility Alliance; Be the Change in Reno, Nevada; and the Downstream Project in Harrisonburg VA.
A few other urban projects focus on community organizing, education and social justice while working towards liberation from fossil fuels, including TILT (Taos Initiative for Life Together) in Taos New Mexico, Casa de Paz in Oakland CA, and Vine and Fig (formerly New Community Project) in Harrisonburg VA. Also represented were Carnival de Resistance, a traveling liberation center that sets up a fossil-fuel-free camp in different city every year, and two new projects in northern California and Vermont, which both have land and are working on establishing fossil-fuel-free infrastructure. It was exciting and encouraging to tap into this network of dedicated folks who recognize the urgency of the climate crisis and the need to act now to create a just and sustainable future. This network will make all of our work more effective, by linking the experience and skill sets of folks who have been living off the grid for years, like the Possibility Alliance and LEF, with the outreach capabilities of the urban centers, which will make our work more relevant to people who will be most adversely impacted by climate upheavals to come.